Well it finally had to happen. Wayne modified and wrote some code. I will be adding switches and code for time-setting and may add WiFi Net time synchronization. 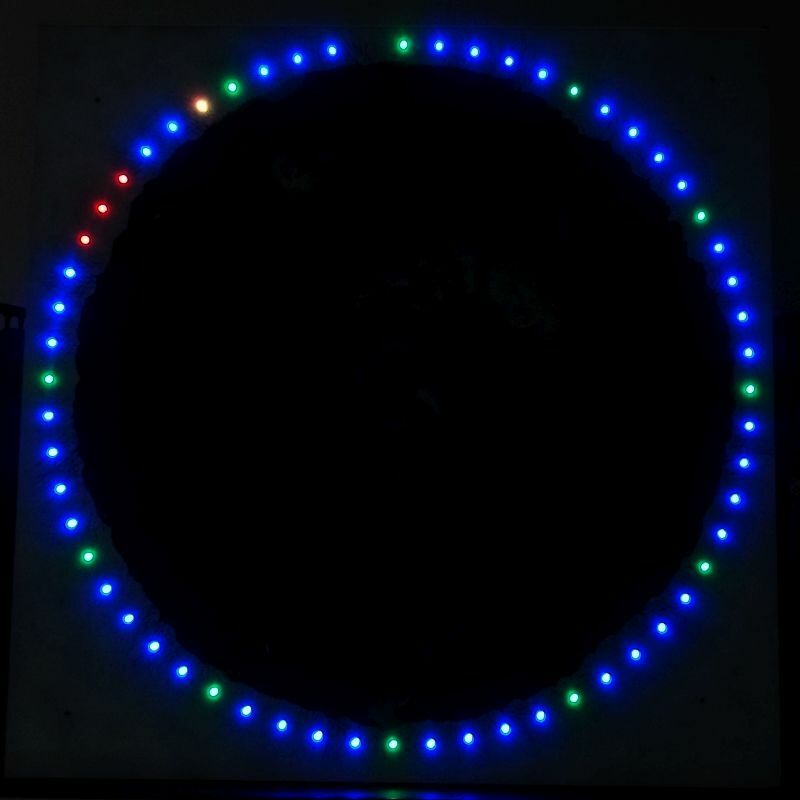 The display is single-wire data using WSM2812 addressable RGB LEDs. The clock runs on an Arduino Nano ATMega328. A broadcast countdown clock is also in the works. I've also done a simple H-bridge stepper controller for a friend's project. All it does is run a 50:1 gear-reduced 15° stepper at 3 RPM output shaft speed. The stepper fits in an Arduino Nano ATMega168. The USB on these boards are not the standard FTDI232 but the lower-cost CH340. I stay up late to code. Becoming a real night owl. The stepper was an epic fail due to vibration. I suspected that when I ran it. It wasn't the cogging, since it was geared, but internal clacking each time it stepped. Too much vibration damping/shock mounting would be required. We need a silent-running low RPM synchronous motor and they work quite well except for heat and 120/240 adaptation. The client has been using a rotisserie motor and other than having to separately stock 120/240 they work well. The 50/60Hz discrepancy isn't a factor. 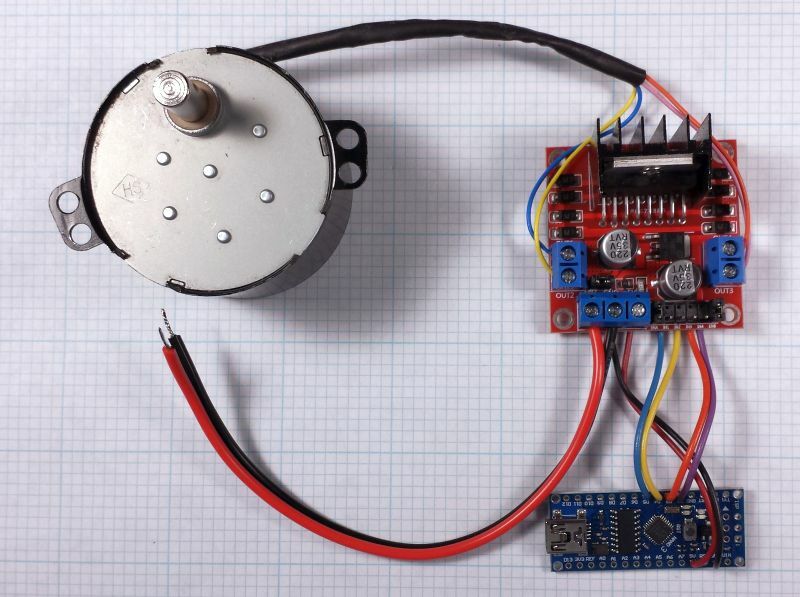 I found some really cool brushless DC low RPM motors with gear boxes that are relatively flat. They have the controller on-board and can be slowed, if needed, by external PWM. It's back to the clock code to set the time. No one bothers me at midnight. My ability to code has deteriorated over the years, not some single observable cognitive deterioration, but the requirement to hold so much related stuff in front of mind for easy access. Back when I was still jogging I would work on difficult coding problems in my head while running 5 miles. Not detailed code work but obscure coding architecture or algorithm design. I could also come up with some solutions overnight apparently while sleeping. I used to call that my overnight engineering team. Now I can have a hard time just figuring out code that I wrote myself, but some of that is because of sloppy documentation. Many thousands of lines of code in my drum tuner. That said I can still have trouble reading some of my old electronic circuit schematics (like the TS-1), but they could be difficult to grok even before I got old.